Pensacola Beach Yacht Club is a sailing and a social club based on Pensacola Beach, FL. New members welcome. Meet some great people who share a common interest - a love of the water and a passion for the related activities! Learn to sail, or improve your sailing, boating or paddle boarding skills! Member privileges at most GYA Yacht Clubs! Join now and enroll your child/grandchild in junior sailing camp for half price! A great place to watch the sunset! Discounts from local vendors such as Key Sailing, Hemmingways, Innerlight, Aloha Liquors and more! Be a member of "The greatest little yacht club on the gulf"! 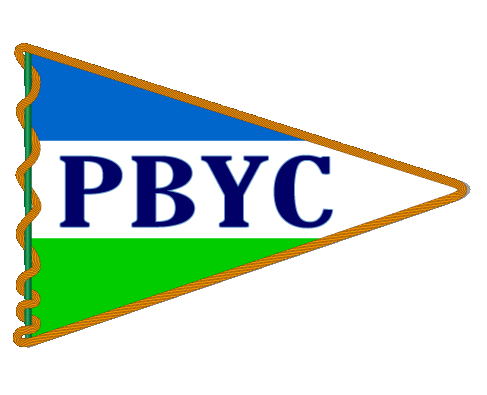 PBYC has recently implemented a new online membership system in conjunction with the launch of our updated website. And we have a new easier domain name - pensacolabeachyachtclub.org! New members can join from this website and renewing members can pay their dues online. Members can update their profile and get access to membership directory as well as club internal documents (meeting minutes etc). Click the link to Join Now. You will be asked to fill out an online membership application and pay the initiation fee of $105. When your membership is approved, you will be notified via email with an invoice for the membership dues ($200 for couples and $150 for singles). New members can still apply via paper form and a check. Just download and fill out PDF Application and return with your membership application fee. If you receive periodic emails from PBYC, then you are in our database. Your user id is your email address. To renew or update your membership at this website you have to login and view your profile. Click the Login link at the top right of the screen. Your user id is your primary email. If you do not know your password, click the Forgot Password link. Enter your email address and the code displayed in the form. You will get a Password reset email. Follow the instructions to reset. To pay by check, send a check payable to Pensacola Beach Yacht Club to PO Box 1112 Gulf Breeze, FL 32562-1112.